Highland Aluminum Straight Loading Ramps are designed for easier loading into the vehicle. 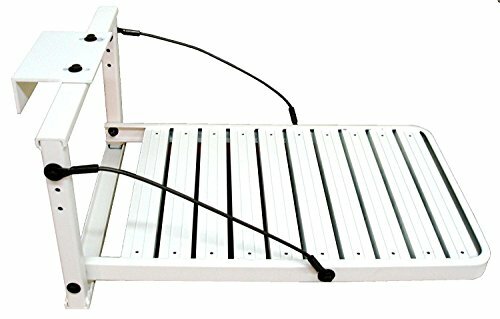 These ramps include adjustable attachment straps, measures 69” long by 13” wide and can hold a total capacity of 1250 lbs. Rust and corrosion resistant, these ramps are backed by a one year limited warranty. Highland is the leader in cargo management and vehicle protection products, dedicated to helping motorists safely load, anchor, secure, tow, carry, trailer and organize cargo. From Highland’s aluminum ramps and cargo organizers to fat strap bungees and cargo securing products, Highland products are manufactured to quality standards designed to exceed every expectation. Highland continues to be the market leader in loading ramps because of its commitment to innovation, quality and reliability. 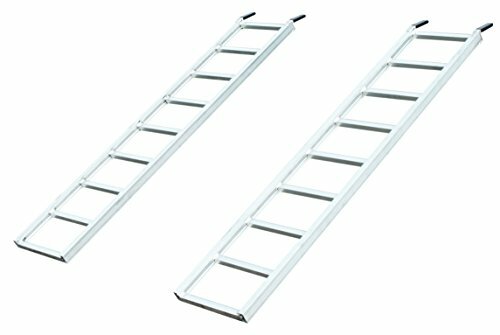 Highland Aluminum Ramp Top Kits are designed to turn ordinary 2 x 8 inch boards into sturdy, rustproof, all-purpose ramps. Made from high quality extruded aluminum for greater strength, these tops feature a non-skid surface to prevent slipping and are corrosion resistant. Installation hardware and protective pads to protect the tailgate are included. Highland is the leader in cargo management and vehicle protection products, dedicated to helping motorists safely load, anchor, secure, tow, carry, trailer and organize cargo. From Highland’s aluminum ramps and cargo organizers to fat strap bungees and cargo securing products, Highland products are manufactured to quality standards designed to exceed every expectation. Highland continues to be the market leader in loading ramps because of its commitment to innovation, quality and reliability. Folding multiple purpose mobility and utility aluminum ramps. Great for a range of uses including traversing stairs and steps or curbs with power scooters, power wheelchairs, manual wheelchairs, hand carts, dollies, barbeques, grills, snow blowers, lawn and garden equipment and more. The SCG-3 measures 36"L x 29"W and has a maximum 600 lb. capacity. Each utility or wheelchair ramp folds in half to 36"L x 15"W for compact storage. Includes carrying handle, steel security pins for ramp setup, a 3"L attaching lip, and raised side rails. Maximum 9" Rise unoccupied, 6" rise occupied. No assembly is required. Made with stainless pop-riveted solid surface heavy duty aluminum construction. 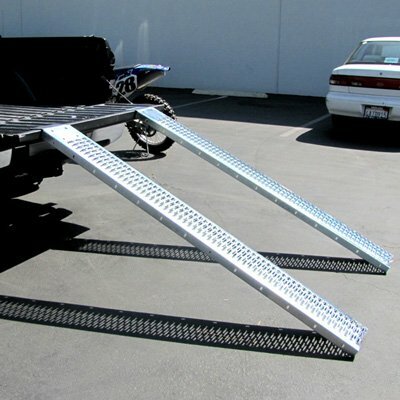 The heavy duty wide Titan 10 ft harley ramps are the ultimate solution when loading your big motorcycle into a tall truck or high trailer. This improved 4 beam design now has 5/8" thick rungs for more support when loading your heavy items. 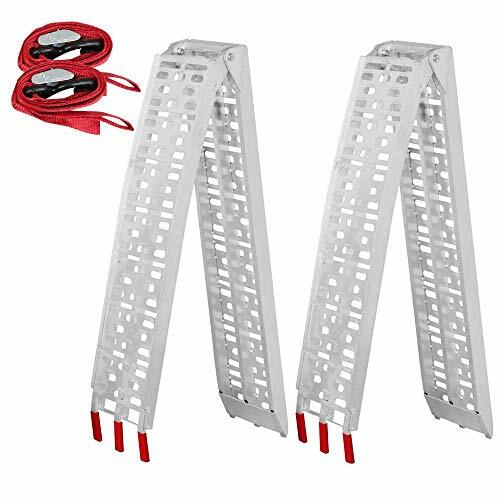 The side loading ramps are great for loading atvs and other four wheel items. ATV ramps are not intended for use with Golf Carts, UTVs like the Razor or similar. Easily load push mowers and other powered equipment into your garage or shed with this lightweight aluminum shed ramp. Weighing just 11 lbs. 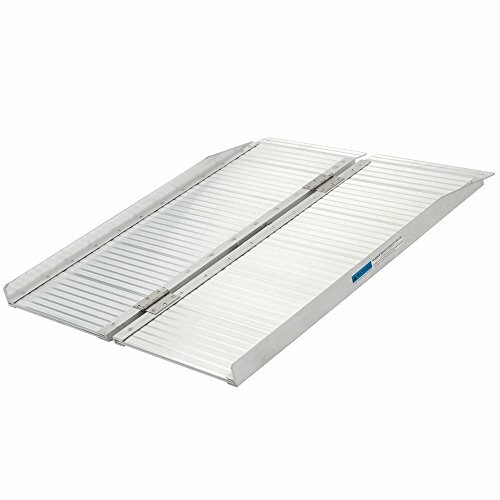 this ramp is easy to move for temporary applications, or it can be permanently attached to the floor of a shed or garage by installing screws into the pre-drilled holes. The built-in carrying handle include integrated ramp stops; when pushed up against your shed, these stops will prevent the ramp from slipping while in use. A safer and more efficient option than plywood, the punch plate surface of this ramp provides excellent traction in all weather conditions, reducing the risk of injuries and damaged equipment. Rage Powersports Black Widow Aluminum Bi-Fold ATV Loading Ramp 71" x 44"
ATV Loading ramp featuring a bi-fold design for compact storage under or beside a quad in a full-size pickup truck, 4x4, or trailer bed. 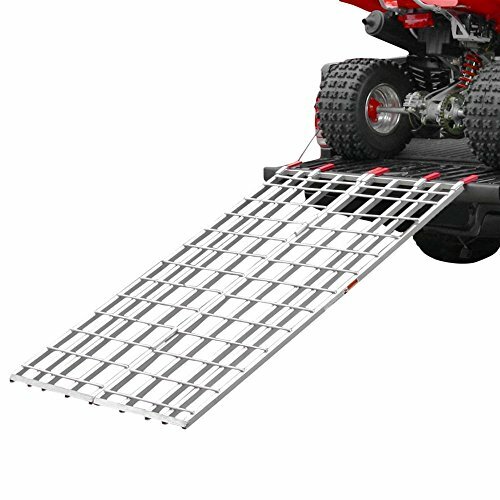 Each 71" long x 44" wide ATV ramp includes a serrated rung surface for optimal traction with off-road ATV wheels in the rain, mud, or snow. 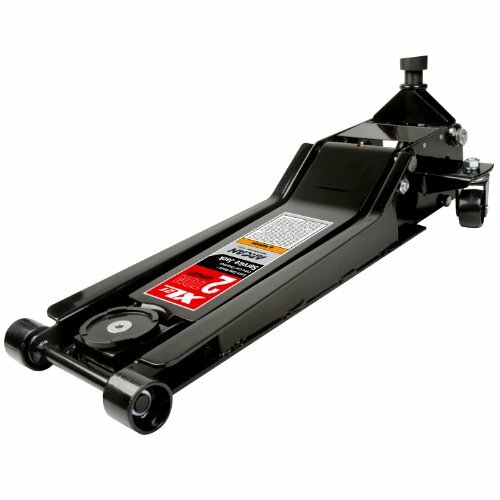 Ideal for ATV's with high clearance loading up to a maximum 1,200 lb. distributed load capacity into low pickup trucks and trailers. 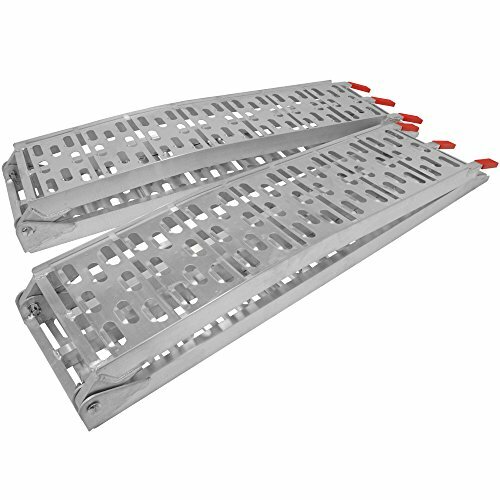 IBF ATV ramps are held in place on the tailgate or trailer bed with (6) rubber coated fingers and (2) included safety straps to prevent ramp kick-outs during loading/unloading. Folds in half for storage (71"L x 22"W x 3"H). Made with heavy duty all-aluminum construction built to last load after load. With Yutrax's TX195 Aluminum Utility Ramp, you'll have a versatile ramp that you can trust to help load your ATV. The strong, lightweight design makes these ramps a great option for loading ATVs. Made of fully-welded aluminum construction, this pair weighs only 17 pounds, with a total weight capacity of 1,500 pounds, and measures 69 inches long and 14.75 inches wide each. 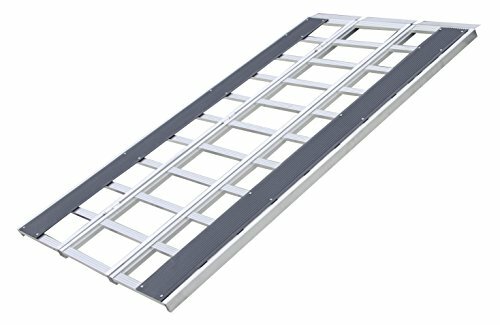 YUTRAX ramps are constructed from highly sturdy and resilient lightweight aluminum, making them easier to handle. Our extruded rectangular side rails resist bending, and all sections are welded rather than riveted for extra strength. Rubber tabs resist sliding and protect your vehicle and included security straps hold the ramps in place. 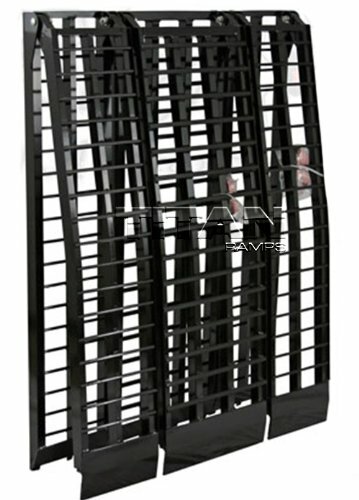 Load up your ATV or other 4 wheel vehicles with this new super heavy duty steel load ramp. This load ramp is comprised of galvanized steel and can easily support 500 pounds each or a combined weight of 1,000lbs! It comes complete with a load leveling angle bracket and hardware to help evenly line up the ramp to the loading truck bed. A steel grate ensures tire traction all the way up the ramp. Dimensions for each ramp is: 72" x 9" x 2". Durable, strong, and easy to use. The heavy duty ratcheting load binder provides added leverage for manually binding large loads on commercial transport truck trailers or rail cars. 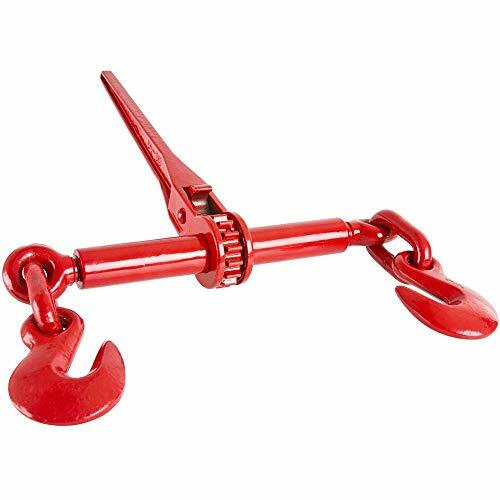 With a 33, 000 lb break strength, the load binder is made for securing loads up to 9, 200 lbs maximum. Tough, integrated hook ends extend up to 8" and work with either 3/8" or 1/2" chain loops. For custom cargo binding, the length is adjustable from 23" to 30" overall. 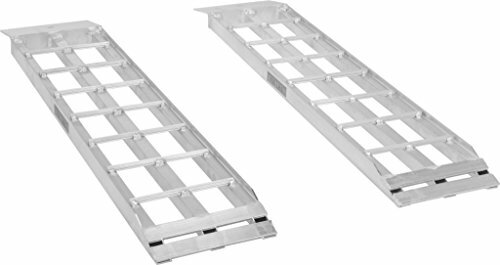 Easily load your riding lawnmower, snow blower, wood chipper, or ATV into your shed or garage with these aluminum shed ramps. Featuring a 750 lb. per axle weight capacity and weighing just 4 lbs. 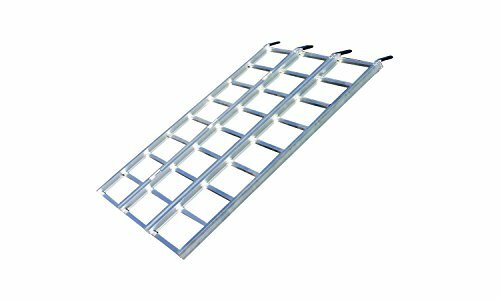 each, these lightweight ramps are easy to set up and take down and can be hung on the wall for convenient storage. 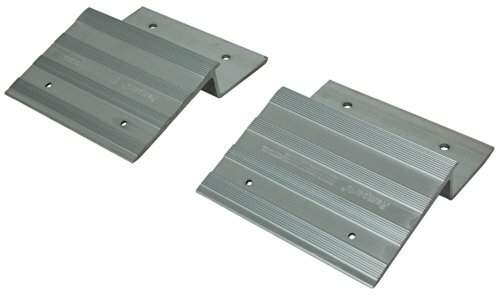 To permanently mount these ramps, simply bolt them to the floor of your shed using the pre-drilled 1/2" holes. Mounting hardware is not included. The Arcan jack is a sleek, extra-long, extra low profile, durable, and long lasting 2T steel service jack capable of taking on any job for professionals or weekend warriors. The Arcan true low profile design allows users to get under almost any vehicle to lift and comes at a significantly lower cost compared to other models in the market. This model passes the 2009 ASME PALD standard, which is the industry's leading safety regulation for lifting equipment. These high quality ramps are made by a USA company who has been in business for 35 years. They stand behind their workmanship. 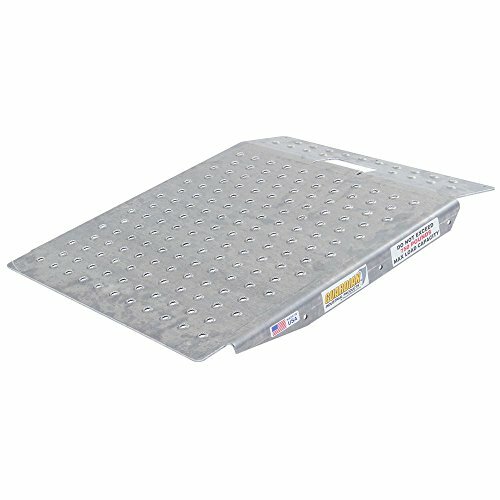 These ramps are intended to be used for loading vehicles and equipment onto trailers. They will not work on pickup trucks, the ramps are too short and the ramp ends are incompatible. We do have them available either straight or arched or with plate ends instead of the standard angle clip ends. 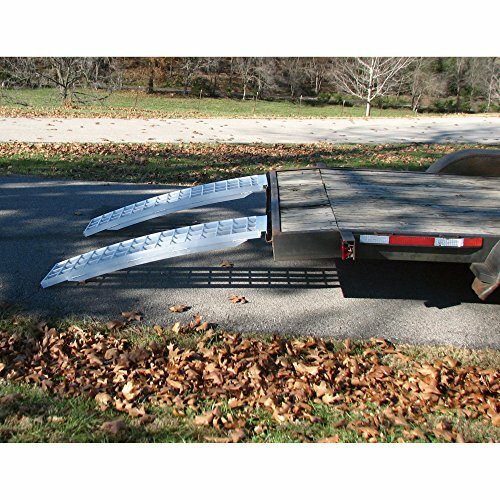 Erickson Combination Loading Ramp is 54" wide and 84" long. Each ramp is sold separately. Each ramp is 1500 lb. rated. This extra long ramp features "removable" polyethylene runners for carbide skis. The black polyethylene carbide slider plates prevent premature wearing to the aluminum loading ramp. Stainless steel screws with a high quality nut insert prevent stripping and rusting. This versatile ramp can be used with your snowmobile and ATV. Ramp also has rubber-tipped fingers to provide a strong grip and prevent scratching. Each fully assembled ramp is double hinged and ready to use. Easily fold ramp for efficient storing when not in use. Two safety chains are included. Erickson Loading Ramps are Quality Tested. We winch a weighted load on and off our test stand on all of our models. Erickson's factory testing ensures you a "high quality" product every time. All of our models are tested one and a half times our advertised load capacity to ensure customer safety. Erickson Manufacturing has been producing Tie-Down Straps and related products for over 25 years. As a leading manufacturer of Tie-Down and Towing Products in North America, Erickson Manufacturing strives to provide the safest products available with the consumer in mind. The ST-TF-7449 triple folding steel ATV loading ramp system, great for loading ATV's and other large wheeled off-road vehicles weighing up to 1,000 lbs. into the back of a pickup or onto a trailer for transport. Center hinge allows the ramp to be folded compact for storage between uses. Includes (2) built-in safety straps to prevent ramp kick-outs during loading and unloading. Not recommended for smaller wheeled vehicles due to the large 6.5" rung spacing. 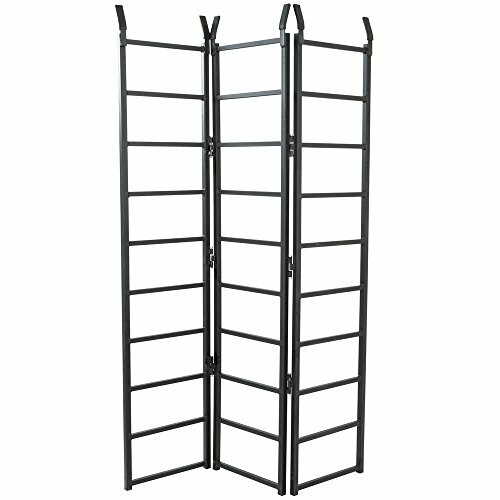 Constructed with high-strength 1" steel tubing, finished with a durable black to last. Ole Rover" will never again have to sit home alone with a sad face when you head out to the lake! With the Load-A-Pup, you and your dog can enjoy all the fun of recreational boating. 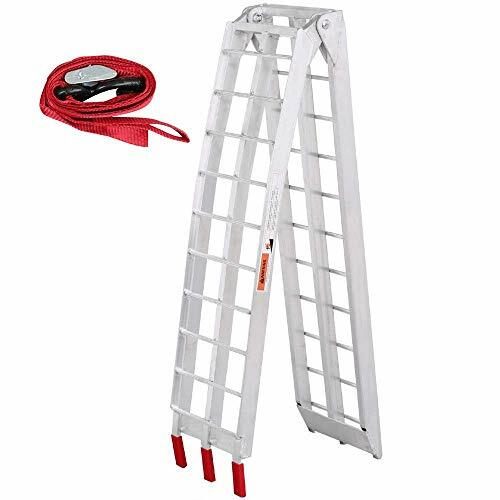 Simply hook the Load-A-Pup to your boat's boarding ladder and you are ready for action. Your dog can leave and re-enter the boat at will. The great thing is, he does it without any help! No more bending, tugging or straining on a wet ball of fur.The Load-A-Pup platform is constructed of light-weight, aircraft aluminum and includes gripping ridges to insure solid, safe footing as your dog climbs back into the boat after a swim. The Load-A-Pup's handsome, off-white, powder-coat finish not only complements the factory finish or color of any boat, but will help to insure years of dependable service.The Load-a-Pup fits any boat that has a boarding ladder. It weighs only 7 lbs. and has a generous 14" X 20" platform. It comes complete with security straps, installs in seconds and folds flat for compact storage when not in use.Made with pride in the USA!